As I wrote last month, one of the things about moving to Denver that excites me most is the opportunity to work with an interesting group of local ingredients. Before racing around foraging away on other locations I thought it made sense to start with my own property. My house is on a relatively small piece of land but there is plenty of gardening space and a nice set of trees. For this recipe I sought out a set of ingredients that are both seasonally available, and therefore foraged immediately before brewing, and create a compatible flavor profile. The combination of ingredients should yield a set of flavors not terribly distant from those found in a classic hoppy beer. This recipe began as an opportunity to brew something interesting with a friend who got into craft beer and homebrewing over the past couple years. I've brewed with him but he's asked to take a look at my brewing, which is both more technical but also more exotic. He's coming into town to explore breweries as well so I don't want to get into anything that would create a long brew day (such as a turbid mas), nor do I want to brew something too simple. Instead I figured this would be a good opportunity to put together a simple beer recipe with some unusual ingredients. This made a good opportunity to brew a fairly basic recipe that would show off some brewing science but also implement some fun artistry. My goal in selecting ingredients was not to make the most bizarre beer, which is usually a recipe for disaster, but instead to find familiar flavors and put them together in familiar patterns. That will allow the different flavors on the periphery to create a beer that seems both familiar and unfamiliar at the same time. Here, the combination of ingredients will add flavors reminiscent of hoppy beers: citrus; floral; pine/forest. Piecing these familiar beer flavors together out of unfamiliar ingredients will create a different profile than just adding similarly flavored hops but not create a beer so weird and unusual that it's not welcoming to drink. The base recipe is a simple strong blond ale recipe to keep the beer from being too busy. Sometimes atypical ingredients like these can have a lot of subtle flavors and a busy beer recipe can overwhelm or clash with them. Here I want a recipe that holds up on its own but works with these ingredients. A simple pilsner malt base with a small portion of crystal and honey malt completes the grain bill. A little hopping at the end will help round out the other ingredients while the bittering charge is shared between the oak leaves and hops. A balanced water profile will help keep the beer from drifting too close to an IPA but avoid flabbiness. I chose WY1318 as a yeast to keep the beer fairly neutral and build in a little body. I like this yeast a lot and its subtle ester profile is a good fit for this beer. It keeps the beer on the same plan of avoiding a busy beer. Initially I considered brewing this beer with a saison strain but I don't think it needs a more aggressive yeast profile. I also want to avoid using saison as a dumping ground for any unusual ingredient. Let's talk a little about the three unusual ingredients and how they will go to work in this recipe. As a nod to sahti and other evergreen adoptive beers that are becoming more popular I've put my Colorado blue spruce to work in this beer. I need to give this young tree a light trim to maintain its shape for next year so I'll have some small branches available for use. Spruce needles have a great citrus and woodsy flavor and aroma that fits as well as juniper (if not better) in beer. The blue spruce is a little more citrusy than other spruce I've sampled. The small branches will go into the mash and remain through sparging. I don't want to overdo the spruce and create an aggressively woodsy beer. Instead I want the flavor to integrate with the other ingredients. For this reason I've used a smaller volume than what often goes into sahti and similar beers. 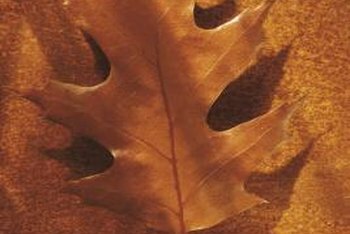 Oak leaves are full of tannins which makes them a suitable substitute for a portion of bittering hops. Here I've adopted the recommendation for this use from Scratch's The Homebrewer's Almanac. I have a northern red oak in the front yard providing these leaves. In addition to bittering I hope the tannins will round out the mouthfeel and possibly add a little oak flavor into the beer. Rose hips are the least unusual of these three ingredients. They have a floral and citrus flavor which should pair perfectly with a moderated spruce flavor. I've let my rose bushes grow a little ragged through the summer to hopefully produce a useful volume of rose hips. This fruit matures in late fall so it's a perfect time to put these to use. They are fairly easy to use. Just cut them open and scoop out the insides. They contain seeds and tiny hairs so a mesh bag is a must. This ingredient goes into the late boil. Fermentation Schedule # Days Temp. Appearance: This beer pours out a nice golden color with increasing amounts of haze from the WY1318. It finishes with a murky appearance under a snow white head that is thick and rocky with nice lacing. Aroma: Vanilla, spiced bread, cantalope, rose, mandarin orange, white grape, slight foresty note. Flavor: Vanilla, oak wood, rosy floralness, wheat bread, white grape juice, cantalope, nouggat. Hints of caramel and spruce in the background. As the beer warms it develops a nice tangerine flavor. The oaky vanilla flavor carries through the beer into the aftertaste. It has all the flavor of a fresh oak barrel but without any of the tannin presence. It is on the sweeter without being cloying. It has a lot of sweet flavors but there is just a little bitterness offsetting those flavors. It is deceptively smooth. Mouthfeel: The beer has a nice structured mouthfeel. It feels appropriately weighted for a 6.6% beer with a medium body. It has a slight tannic feel that helps cut some of the sweetness in the flavor. There isn't any of the unusual textural attributes that sometimes come along with using some of these weirder ingredients. Overall: As a whole I am happy with how this turned out. It's about everything I expected minus not having the spruce impact I expected. There's a little of all the ingredients with the oak leaves doing the heavy lifting which makes for a unique but well integrated beer. 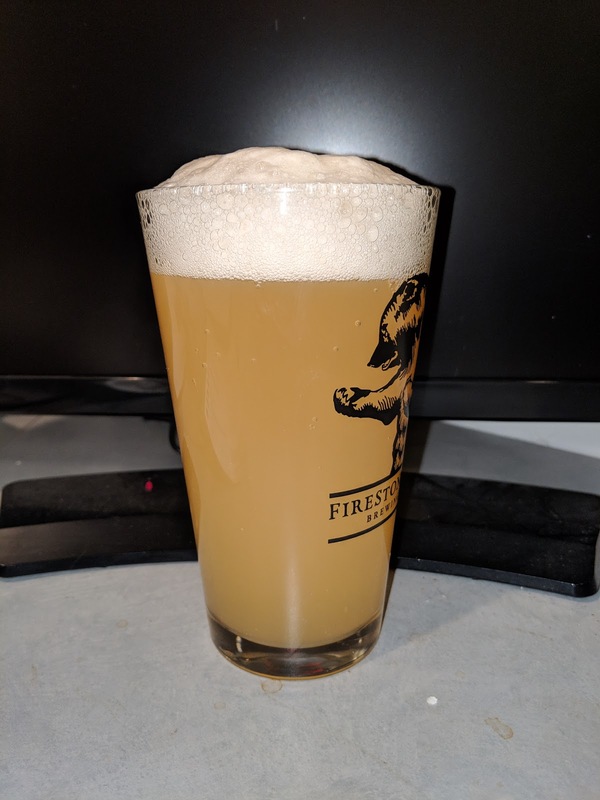 It is not an explosive beer that will wow a crowd; but on the other hand I think the fact that the flavor is nicely integrated and doesn't have any bizarre character makes it more surprising to some of the people who tasted it knowing what I put in this homebrew. It could sit next to some of these milkshake IPAs with its fruit and vanilla flavors and hazy appearance. I will brew this again and although I expected more spruce flavor I actually think it turned out really well as it is. There are too many other things to do with spruce to feel like I need to cram it in the forefront of this beer. I'm also curious what else I can do with these ingredients, particularly the oak leaves. Maybe an imperial stout benefiting from the vanilla flavors?